Joe Biden has been telling black audiences what they know for a few years. Credit Beto O’Rourke, he’s getting an early jump on preaching to the choir. Beto O’Rourke, the son of a county commissioner and county judge, acknowledged the privilege afforded him because of his race and gender while insisting his bid for President could level the playing field for all Americans, according to NBC News. Speaking to “Meet the Press” host Chuck Todd during an appearance in Iowa, O’Rourke broke down his leg up. O’Rourke, who rose to national prominence after pushing incumbent Senator Ted Cruz to a narrow, three-point victory in historically Republican-voting Texas. Following his narrow defeat, Beto took to updating followers on his life via social media, hinting at presidential aspirations as he got his teeth cleaned and sat with Oprah. In acknowledging his privilege, he also pointed to his own experience as an asset among the crowded field. 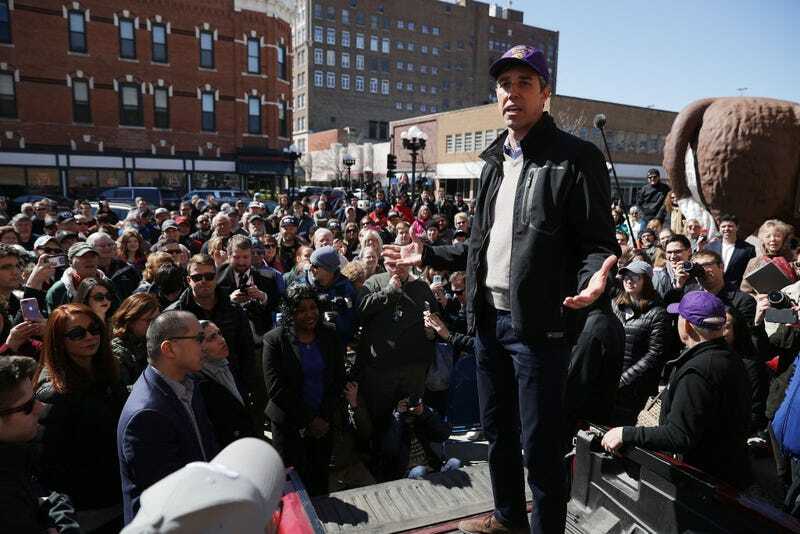 Beto finds himself in the midst of a field that includes a black woman who rose to the rank of state Attorney General, a former Texas mayor whose grandparents emigrated from Mexico as an orphan, and the former mayor of Newark. He also finds himself surrounded by other white, privileged candidates, most of them with more hard-and-fast legislative experience to bolster any similar claims they may come to make in the coming weeks or months. While it’s nice O’Rourke has jumped on the whitesplaining bandwagon early, he’s going to have to dig a little deeper.